With the reopening of The Grand Tarabya, one of the crown jewels of Turkish hospitality has been restored. The Grand Tarabya, a true landmark of traditional Turkish hospitality, comes alive again on the European shores of the Bosphorus. Set along Tarabya Bay, with breathtaking views all the way to the entrance of the Black Sea, the hotel is ideal for business trips, weekend breaks, or spa retreats. 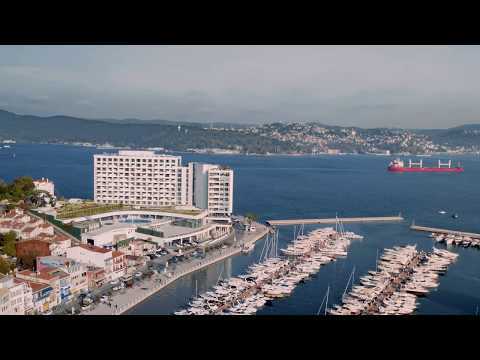 Only 20 minutes by subway from Taksim Square, the center of the city, Tarabya is a unique neighborhood, with a picturesque harbor, lively fish restaurants, colorful scenery, a newly built marina and green landscapes. The spacious and tastefully decorated guest rooms and suites are designed to cater to the needs of discerning international travelers. From high-end gastronomical experiences to traditional afternoon teas and healthy snacks, The Grand Tarabya provides an unforgettable culinary feast. Therapia Spa is the place to relax your body and soul. With the excellent face and body treatments it offers, the 4,000 square meter spa is the new talk of the town. Enjoy 270 degree views of the Asian and European shores welcoming the fresh waters of the Black Sea - Endless views of where east meets west. Owner Information: Bayraktar Holding A.S.